What is Contemporary Kitchen Design? | Le Gourmet Kitchen Ltd.
What is Contemporary Kitchen Design? Have you imagined your dream Orange County, CA kitchen? Is it sleek, stylish and functional, yet warm and inviting? Contemporary design could be exactly what you need in a kitchen remodel. It differs from modern design as it blends popular design elements, giving an overall feel of comfort and sustainability. 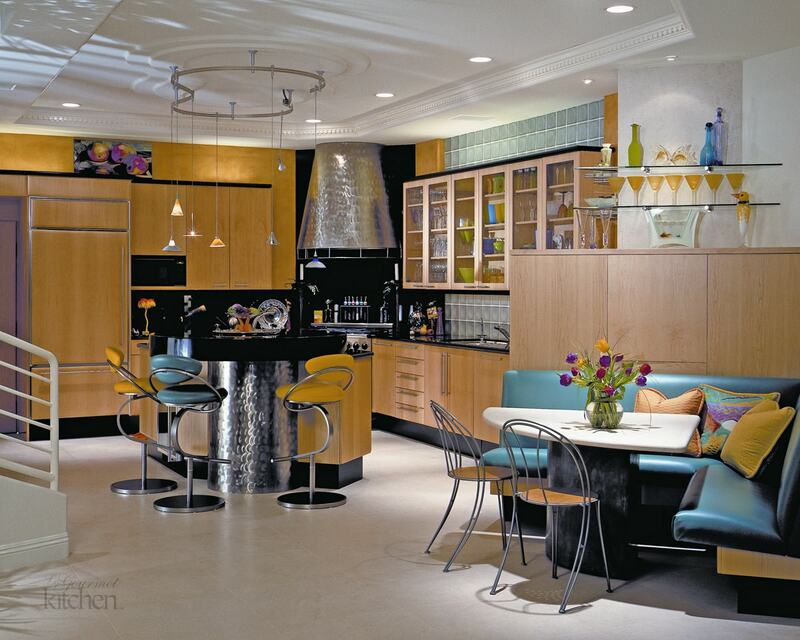 Modern design had its heyday in the 1950’s and 60’s, demanding a fuss-free look. Scandinavian designers took modern design to the next level resulting in contemporary design: a sleek, functional style using beautiful materials and influenced by nature and current trends. What makes a kitchen contemporary now differs to a contemporary design from several years ago, but all contemporary styles incorporate sleek lines, simple fixtures and accessories, and warm touches that make it the perfect place for living and comfort. Color, smart appliances, layered lighting, eco-friendly products and eclectic materials all form part of the latest contemporary kitchen remodel. Contemporary kitchen design embraces the minimalism of modernity but balances straight lines with curves where possible. It also mixes synthetics with wood, stone and metals and experiments by using these materials in fresh, exciting ways. A contemporary kitchen will be slightly more decorative than a modern one due to its eclectic mix of styles and often relies on materials to make an impact. Stainless steel hoods, countertops, or even entire cabinets are very popular in contemporary kitchens, as are white tiles, sleek stone such as marble or onyx, warm wood and accents of gold or brass. Industrial elements such as concrete, exposed brickwork and natural wood are all excellent contrasts that bring texture and color to a contemporary kitchen design. 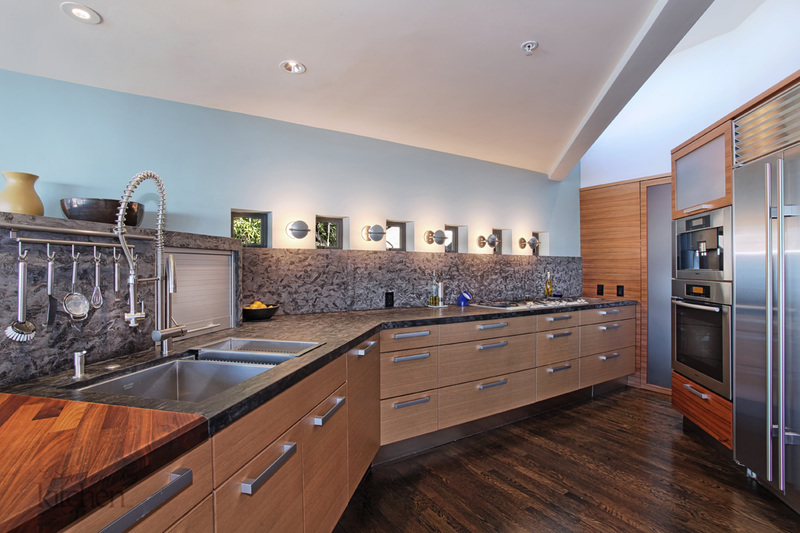 This stunning contemporary kitchen design in San Clemente uses light and dark wood alongside glass and metal to add warmth and interest to clean lines. The contemporary kitchen remodel should showcase everything in its purest form, so a neutral color scheme with splashes of bright colors or metallic accents is ideal. Statements such as colored glass backsplashes, barstools, appliances, light fittings and eclectic art all work with this style. Light colored floors ensure calmness, with wood flooring or design accents warming up neutral minimalism. Tiles in dark colors, geometric patterns, bright subway or mosaic tiles all contrast beautifully against a clean, neutral color palette in white, gray, or beige. Remember, while accessories add color and personality, keep them to a minimum to let your choice of kitchen materials shine through. Good lighting is a must in contemporary kitchen design, as it makes the room bright and airy. A layered lighting plan will provide you with the perfect mix of task and mood lighting along with large windows to maximize natural light. Use glass wherever possible in contemporary kitchen design to contribute to the light and open feel. 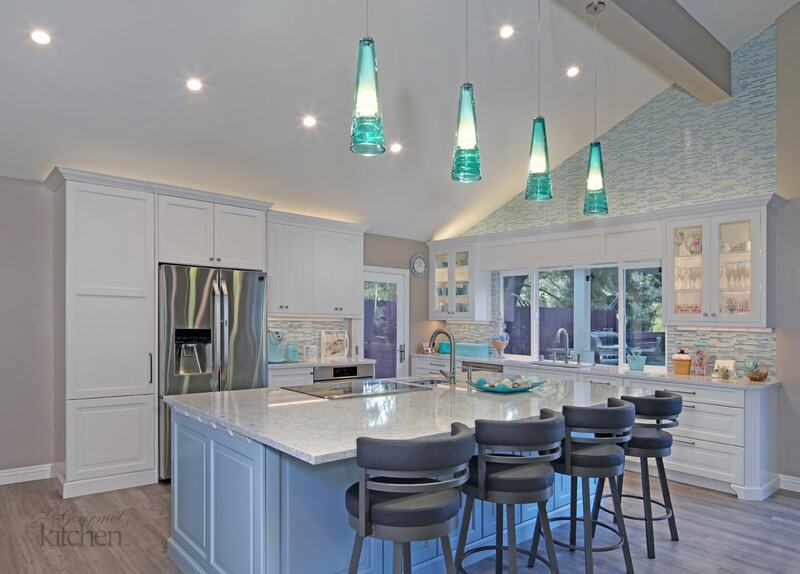 Here is a beautiful example of glass and color being used as a focal point with magnificent pendant lighting over an island in a Laguna Hills kitchen remodel. It is important that you don’t ruin the clean lines of your sleek, contemporary kitchen with piles of clutter. Streamlined cabinetry will store items out of sight but floating shelves will add a graphic design element while keeping essential items to hand or offering a place to display decorative items. A combination of both will give your space character. To achieve the streamlined look for a contemporary kitchen, surfaces need to be almost seamless with cabinets and appliances blending in without interruption. Handleless cabinet doors, panels of glass replacing tiled backsplashes, cutting board inserts and wide drawers are all simple but important details in contemporary kitchen design. Multi-functional islands and smart appliances will mean you can do more with less, making your kitchen extremely functional as well as on trend. Contemporary kitchen design is all about finding the perfect balance of sleek, modern lines and traditional styles to create a space that is calm and trendy while also being livable and warm. The result is a seamless balance between form and function in a timelessly elegant kitchen design. 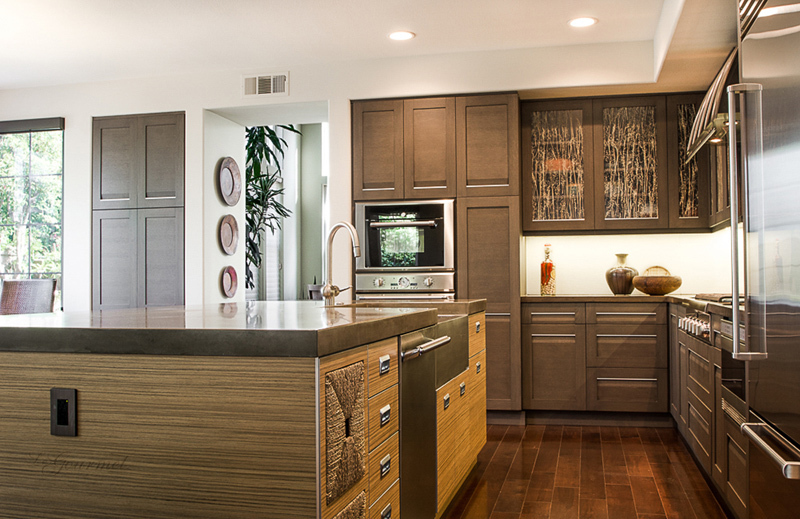 Now that you know how adaptable, eclectic and achievable it is, why not plan your own contemporary kitchen remodel? Check out our contemporary kitchen design gallery for further inspiration and contact our kitchen design experts who will guide you through this exciting process.